Ministry of Sound Australia has relaunched the iconic SESSIONS compilation series as the go-to tastemaker for what's fresh in the Australian club scene. SESSIONS has been a favourite of club fans for over a decade, and returns after a 3-year hiatus, now featuring the hottest new tracks from artists & DJ's around the world. 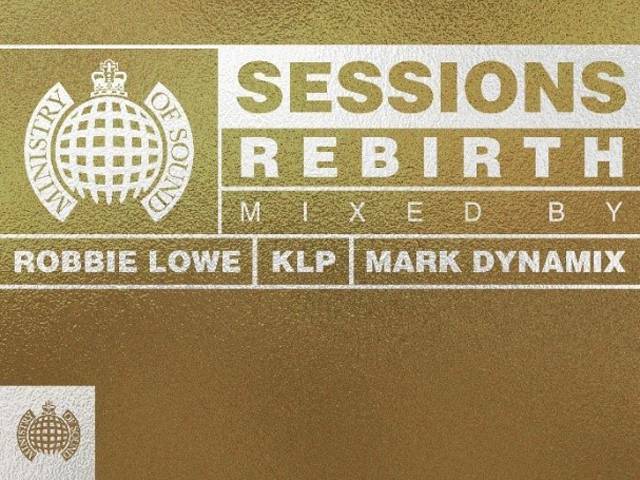 SESSIONS: REBIRTH is a return to the underground club brand featuring 57 totally upfront house, tech, and JJJ dance crossover tracks - mixed seamlessly over 3 discs or as a digital download package. Curated and mixed by KLP (multi-talented singer, songwriter, producer, DJ, and radio personality); Robbie Lowe (Australia's leading deep house DJ) & Mark Dynamix (18 years history mixing frontline compilations for Ministry of Sound) brings Australia's headline DJ's back into the mix. Featuring international tastemaker artists such as: Au/Ra & Camelphat, Calvin Harris with Dua Lipa, Purple Disco Machine, Weiss, Elderbrook, Oxia, Danny Howells, Robert Babicz, James Zabiela, Gregory Tresher, Mark Knight, Todd Terry, Datarock as well as local favourites RÜFÜS DU SOL, FISHER, Flight Facilities, The Presets, Mark Maxwell & James Ingram & Peking Duk + more. Patrick Topping – Be Sharp Say Nowt! Mark Dynamix is an Australian DJ, producer, remixer, event promoter, broadcaster and record label owner. He has been forefront in the minds of Australian music enthusiasts for over 25 years, having started performing in 1990 when he was a mere 14 years old. Mark has sold more units than any other Australian DJ with more than 50+ releases to date and holds the record for the biggest selling compilation in Australia with more than 350,000 units of Ministry Of Sound's The Annual 2006. Operating under the moniker KLP, Sydney based artist Kristy Lee Peters has gained notoriety as a DJ, radio host, producer, songwriter and vocalist, amassing much deserved national and international attention. Robbie Lowe is regarding as one of Australia's finest DJ's. Having performed for over 2 decades, his experience is vast and his wares span genres. A carefully considered approach to mixing and a natural ability to read dance floor energy makes him one of the most called upon electronic artists in Australia.